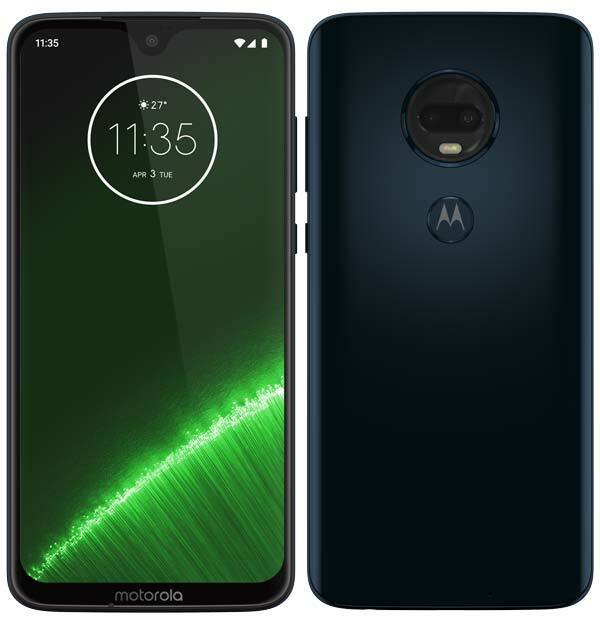 Along with the Moto G7, Motorola also announces Moto G7 Plus, the successor of last years Moto G6 Plus. It comes with the same 6.2-inch Full HD+ Max Vision display with a Dew-drop styled notch and powered by the upgraded octa-core Snapdragon 636 Mobile Platform with 4GB of RAM. The key highlight of this smartphone is the Turbo-powered 3,000mAh battery that supports 27W charging. Motorola is also bundling a 27W Turbo charger in the box. It offers 64GB internal storage and runs on Google’s latest Android 9.0 Pie with a few Moto customisations. Similar to Moto G7, the Plus variant also has a dedicated MicroSD slot lets you expand the device storage up to 512GB. In the camera department, G7 Plus comes with an upgraded has a 16MP+5MP dual camera setup on the rear and a 12MP front camera for high-quality selfies. Same as Moto G7, the G7 Plus also equipped with a rear-mounted fingerprint scanner which is placed in the Moto branding. The Moto G7 Plus comes in two colors – Deep Indigo & Viva Red and price starts at 299.99€ EUR (Approx. ₹24,300). It will be available today in Brazil & Mexico, Mid-February in Europe followed by Australia & other countries in Latin America in the coming months. Price, Variants, Colors, and Specifications may vary from region to region.